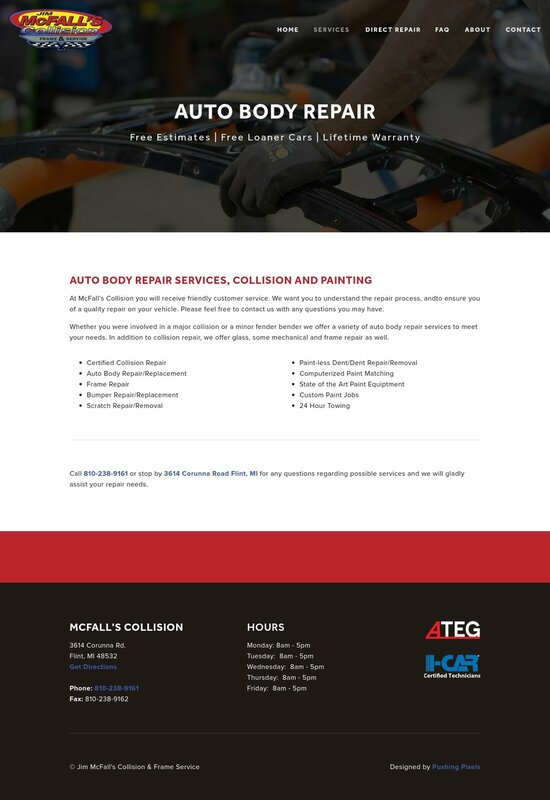 I approached the owners of McFall's Collision for a new website because theirs was out of date, and not responsive to all devices. When their customers are looking for a body shop, the are usually frustrated and/or scared, worried about cost, or what they will drive while their car is being fixed. Their potential customers needed quick and easy way to contact McFall's. They needed a place where they could learn about the process and insurance information. Now, McFall's website has easy to find mobile friendly contact buttons, so their customers can call, get directions and see their hours in as fast as it takes to tap their screen.